GE Chairman & CEO John Flannery reaffirmed the company’s continued commitment to Malaysia with a major US$80 million investment in GE Aviation’s Malaysian engine services facility. GE also announced the establishment of the Global IT Service Desk, located at its headquarters in Kuala Lumpur. GE Aviation’s Malaysian engine services facility will enter into a long-term tenancy agreement with Impeccable Vintage Properties (IVP), a wholly-owned subsidiary of Malaysia Aviation Group Berhad, subject to terms to be mutually agreed in relation to GE’s Subang facility. This long-term tenancy agreement is part of the facility’s plans to invest in tooling, testing and skills capabilities to support the maintenance, repair and overhaul (MRO) of CFM International’s cutting-edgeLEAP engine. 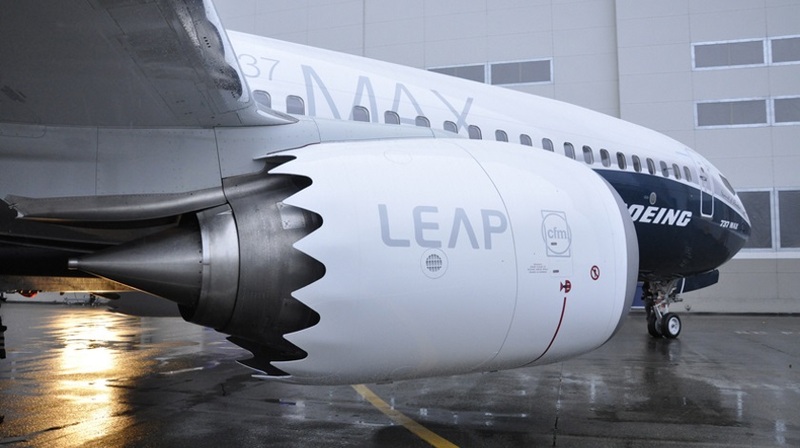 The LEAP engine, produced by a 50/50 joint venture between GE and Safran Aircraft Engines, represents a leap ahead in terms of aviation technology and material, and powers aircraft such as the Boeing 737 MAX, Airbus A320neo and Comac C919 single-aisle jets. The MRO work on LEAP will introduce the next chapter of engineering excellence for the Subang workshop, making it the first such facility outside the United States for GE. GE Aviation’s presence in Malaysia dates back to over 25 years ago when national carrier Malaysia Airlines began using GE’s engines for their A300 and DC10 aircraft. Incorporated in 1997, the Subang site was developed as a Center of Excellence for CFM56 engines. Today it employs 300 highly skilled local employees, providing MRO services for over 40 airlines globally. The state-of-the-art global IT hub is one of just three such centres in the world, providing a 24/7 dual-language Chinese-English support to all GE users worldwide, with an aim to accelerate towards full operation by 31 October this year. The Global IT Service Desk will be staffed by 130 local employees. “Malaysia offers the ideal location for GE’s commitment to accessing the best in global talent. It is a country that boasts a young, enthusiastic and highly skilled workforce with multi-language capabilities, and a supportive environment that promotes exactly the kind of technical expertise and opportunity that a company like GE is looking for. With the new investment to expand skills and capabilities at the GE Aviation Malaysia facility, and the path towards full operation at the Global IT Service Desk, it’s clear GE is committed to its future in Malaysia,” said CEO of GE Malaysia, Datuk Mark Rozario.